Home » Opinion Pieces » To ban or not to ban: is that the question? To ban or not to ban: is that the question? Prime Minister Tony Abbott’s dog-whistle politics have once more brought the “question” of Hizb ut-Tahrir to the table of public debate. It is unfortunate that discussion about Islam and Muslims only finds traction when politicians decide to use them in the cheap politics of fear. The result is that discussion about these matters only seriously takes place in the context of terrorism and security. This is the modern manifestation of an age-old European Orientalism which only ever treated the Muslim as an object of fear and interrogation. A threat to be spoken about, not spoken to. A threat to be managed and contained. Clive Williams (‘Banning Hizb ut-Tahrir in Australia‘) provides one such “tolerant” view. Starting from the question (and all associated premises and assumptions that give rise to the question) of whether Hizb ut-Tahrir should be banned. He claims to tread the informed path, concluding that it should not. First, Hizb ut-Tahrir has not encouraged anyone to go and join ISIS. Second, no member of Hizb ut-Tahrir has been involved in any acts of terrorism anywhere in the world. Indeed, it is remarkable how claims as grave as these can be made so flippantly and without any evidence. Third, we do not face any issue of “outspoken individuals” hijacking our public face. Only appointed spokespeople speak in Hizb ut-Tahrir’s name and none of them have said anything that contravenes Hizb ut-Tahrir’s view. Fourth, we can be, and have been, critical of ISIS actions on Islamic grounds, long before, I should add, western politicians decided to use ISIS as the latest bogeyman by which to justify intervention in Muslim communities locally and abroad. With that said, we reject the notion that we need to distance ourselves from other Muslims who do the wrong thing. Do secular liberal academics, journalists and commentators distance themselves from the crimes of secular liberal states? And if they don’t feel the need to distance themselves from elected policymakers, by what logic are Muslims being asked to distance themselves from groups who represent no one but themselves? If Williams is the tolerant view, we saw its intolerant twin in Emma Alberici’s interview with Wassim Doureihi on Lateline last week. Having invited Doureihi on the show, she simply did not afford him an opportunity to speak. The first interruption came a (world record?) four seconds into the substantive part of his response to the very first question. The justification for this tabloid journalism was that Doureihi was not providing direct “yes” or “no” answers to the questions, as if an interviewee can only be allowed to speak if they provide answers that accord with what the interviewer wants to hear. Alberici required that Doureihi condemn ISIS first before having the right to speak. The façade of a higher morality behind which she was posturing was exposed when she refused to condemn the far greater crimes of western states by conveniently running out of time. The reality is that questions about banning Muslim groups are based on the myth that Muslims represent a threat. It is a myth because it is not Muslims who occupy western lands. It is not Muslims who have hundreds of military bases littered across the western world. It is not Muslims who regularly go to war for political and economic benefit at the cost of hundreds of thousands of lives and the destruction of entire countries. Indeed, the opposite is true. The question, thus, is not what is to be done about this Muslim group or that. The question is what is to be done of western secular liberal states, who after having led humanity for over three centuries have failed it miserably. This is attested to by global poverty statistics, ever-increasing wealth distribution inequalities, ever-present conflict on every continent, rampant and ingrained corruption and tyranny in the developing world and social breakdown in the developed world and the commercialisation and consequent corruption of areas such as politics, media, education. Discussion about Islam should be elevated to a serious and considered discourse that critically discusses the alternative real solutions Islam provides to the real problems of modernity. For this, we are willing and ready to engage. As for being used to simply reinforce prevailing problematic discourses and paradigms, we’re simply not in that business. Those who know us know that well, including the Prime Minister. 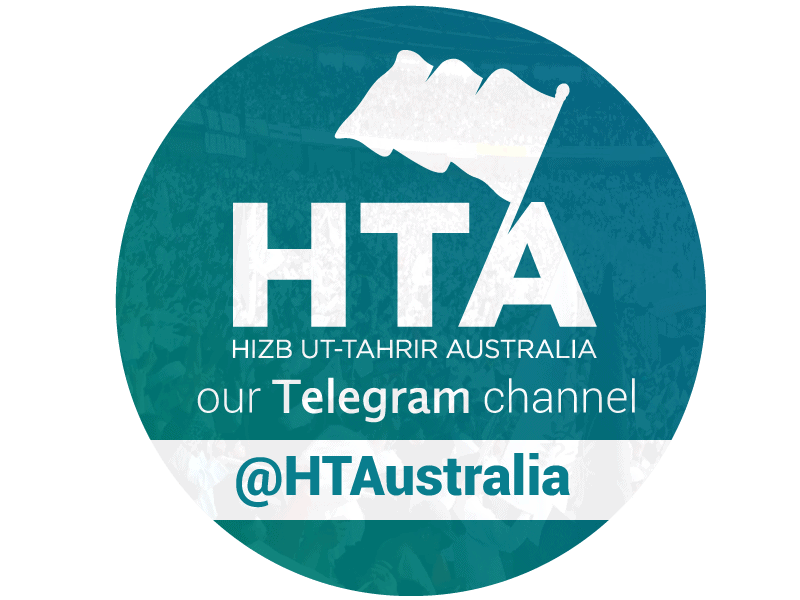 Uthman Badar is the media representative for Hizb ut-Tahrir, Australia. Hizb ut-Tahrir is an Islamic political party that works globally to resume the Islamic way of life through the establishment of the Khilafah in the Muslim World. In the West, Hizb ut-Tahrir carries Islam intellectually as the solution to the malaise of secular liberalism.